My “find” this weekend was this wonderful photo of the Pipes & Drums of the 42nd Battalion (Royal Highlanders of Canada). 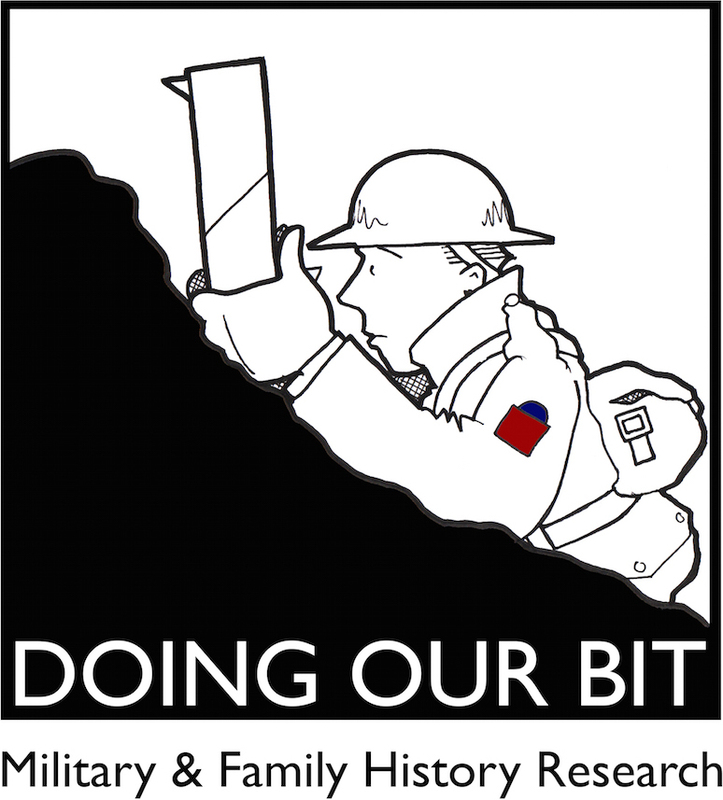 The 42nd fought as part of the 7th Infantry Brigade, 3rd Canadian Division. This photograph was taken in Arras, France in September 1918. While researching this image I found a reference to the same photo in which Charles Edwin McIntyre Turner was identified in the top row (5th from the left). If anyone has information on any of the soldiers in this image please let me know. Categories: Crowdsourcing, Photographs, Who Goes There? 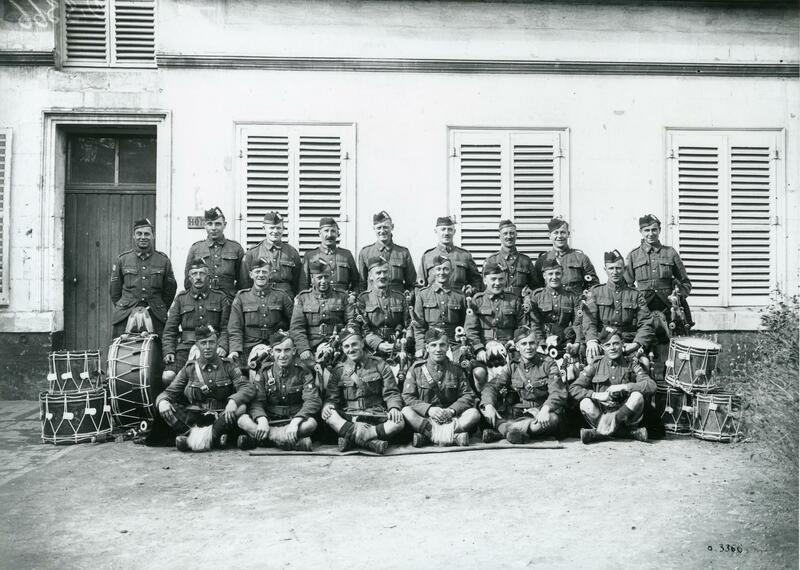 Tagged as: 42nd Battalion, Photograph, Pipes & Drums, Royal Highlanders of Canada, Who Goes There? That’s an excellent idea. Several years ago I contacted the Royal Montreal Regiment while researching my great-grandfather’s service and they were very helpful. Since posting my blog article I have discovered that this photograph was taken in Arras in September 1918.
the second row on the left. Thanks for sharing this information. Do you have any other photos of your grandfather in uniform? Hi Juanita … had you meant to include a website link in your reply? Thanks, Steve. Hi Steve! Yep, that’s my great grandfather Charles Edwin McIntyre Turner. 🙂 Glad to see you’re researching the rest of the men in the photo. Charles joined up when his boss, Sir William Price, assembled his own company, the 171st (Quebec Rifles) Battalion (CEF). Charles tried to join up earlier but was not accepted because he wore glasses. So he memorized the eye chart and it looks like Price helped him get accepted. He went through WWI without glasses! I’ve been working on tracing how Charles got from the 171st to finally end up in the 42nd by the end of the war. I think that soon after his arrival in England (ca. Nov 1916) the 171st was absorbed by the 148th Battalion, CEF, 5th Pioneers & then in Jan 1917 the 148th was absorbed by the 20th Reserve. That’s as far as I’ve gotten. Thanks for your comments and the story about your great-grandfather’s eye exam … where there’s a will there’s a way! Draft of 200 to 4th Canadian Railway Troops. Drafts to 148th and 150th Battalions and to 11th Canadian Mounted Rifles on 11 December 1916. Remainder absorbed by 20th Canadian Reserve Battalion on 8 January 1917. Your great-grandfather’s complete service record should provide the final answer when it’s digitized … unless of course you already have a copy of it? No, I’ve not identified any additional individuals. Hopefully, over time, others will come forward with suggestions on who may be in the photo. Thanks for the feedback re: Laight, perhaps Juanita will check back at some point. If I do hear from anyone else I will be sure to post an update or an additional comment on this post. Thanks again and if you take a photo of the Pipe Band when you’re in Mons this November I would love to see it. Pipe Major Thomas “Tom” Gordon Johnston #675251 can be seen in the middle of the centre row, 4th from the left. He was born in Dumfries Scotland and had served as Pipe Major of the Kings Own Scottish Borders before moving to Ingersoll Ontario to work for the Noxon Company as a plumber/pipe fitter and as Pipe Major of the Noxon Pipe Band which soon became the Ingersoll Pipe Band in 1910. Tom enlisted with the 168th Battalion (Oxford’s Own) in 1916 and once they were shipped overseas in October he was sent to the 37th and later the 20th battalions before joining the 42nd in 1918. On November 11, 1918 he led the Canadians into the recaptured city of Mons. After the war he returned home to work in his trade and resume his direction of the local pipe band until his death in 1939. Thanks very much for providing the information on Pipe Major Johnston. This is exactly the type of detail I had hoped would come to light when I published the photo over four years ago. Thanks again for sharing it with my readers.